Are you a slave to sublime style? 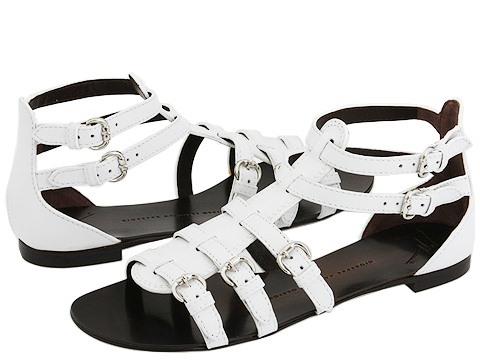 Then buckle yourself up in beauty with these sensational sandals by Giuseppe Zanotti™! Buckle closures. Luxurious leather upper. Leather lining. Leather sole. Fabulous flat heel. Comes with a shoe bag. Made in Italy. 0.50 heel. 6.00 oz.